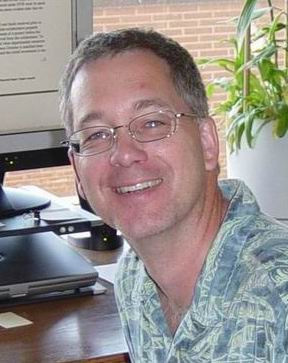 Kevin Douglas Floate is a research scientist with broad interests in insect community ecology. He has examined the role of ground beetles (Carabidae) as natural enemies of pests affecting wheat, and the response of gall-forming arthropods to the hybridization of their cottonwood (Populus) host species. He currently studies the biology and ecology of parasitic wasps for use as biocontrol agents against flies affecting livestock. He has expanded this research to include studies of Wolbachia bacteria, which have profound effects on the reproduction of their arthropod hosts and which affect an estimated 20-80 percent of arthropod species. Kevin's specific interest in Scarabaeidae derives from their membership in the community of insects associated with livestock dung, and how this community is affected by parasiticides applied to cattle. This information is being used to develop guidelines to minimize the adverse effects of pesticide use on non-target species. Nieman, C., K.D. Floate, R-A Düring, A. Heinrich, D. Young, and D. Schaefer. 2018. Effects of residues from a new eprinomectin formulation on dung breeding insects. PLoS ONE 13(8): e0201074 (https://doi.org/10.1371/journal.pone.0201074). Floate, K.D., D.W. Watson, R.M. Weiss, and O. Olfert. 2017. Bioclimatic analyses for the distributions of Onthophagus nuchicornis, O. taurusand Digitonthophagus gazella (Coleoptera: Scarabaeidae) in North America. The Canadian Entomologist 149: 504–524 (https://doi.org/10.4039/tce.2017.20). Floate, K.D., W. Watson, P. Coghlin, and O. Olfert. 2015. Degree-day models for development of the dung beetles Onthophagus nuchicornis (Linnaeus), O. taurus (Schreber) and Digitonthophagus gazella (Fabricius) (Coleoptera: Scarabaeidae), and likelihood of O. taurus establishment in southern Alberta, Canada. The Canadian Entomologist. 147: 617–627 (doi:10.4039/tce.2014.70). Kadiri, N., J.P. Lumaret and K.D. Floate. 2014. Functional diversity and seasonal activity of dung beetles (Coleoptera: Scarabaeidae) on native grasslands in southern Alberta, Canada. The Canadian Entomologist 146(3): 291–305. Floate, K.D. and N. Kadiri. 2013. Dung beetles (Coleoptera: Scarabaeidae) associated with cattle dung on native grasslands of southern Alberta, Canada. The Canadian Entomologist 145:647–654. Rounds, R.J. and K.D. Floate. 2012. Diversity and seasonal phenology of coprophagous beetles at Lake City, Michigan with a new state record for Onthophagus taurus (Coleoptera: Scarabaeidae). The Coleopterists Bulletin 66(2):169-172. Tiberg, K. and K.D. Floate. 2011. Where went the dung-breeding insects of the American bison (Bison bison)? Canadian Entomologist 143:470-478. Taylor, G.P., P.C. Coghlin, K.D. Floate and S.J. Perlman. 2011. The host range of the male-killing symbiont Arsenophonus nasoniae in filth fly parasitoids. Journal of Invertebrate Pathology 106:371-378. (http://dx.doi.org/10.1016/j.jip.2010.12.004). Jochmann, R., W. Blanckenhorn, L. Bussière, J. Jensen, U. Kryger, J. Lahr, J-P. Lumaret, J. Römbke, K. Wardhaugh, and Floate, K.D. 2011. How to test non-target effects of veterinary pharmaceutical residues in livestock dung in the field. Integrated Environmental Assessment and Management 7:287-296. Floate, K.D. and P.C. Coghlin. 2010. No support for fluctuating asymmetry as a biomarker of chemical residues in livestock dung. Canadian Entomologist 142:354-368. Zhang, B, E. McGraw, K.D. Floate, P. James, W. Jorgensen and J. Rothwell. 2009. Wolbachia infection in Australasian and North American populations of Haematobia irritans (Diptera: Muscidae). Veterinary Parasitology 162:350-353. Römbke, J. K.D. Floate, R. Jochmann, M. Schäfer, N. Puniamoorthy, S. Knäbe, Jörn Lehmhus, B. Rosenkranz, A.Scheffczyk, T. Schmidt, A. Sharples and W.U. Blanckenhorn. 2009. Lethal and sub-lethal toxic effects of a test chemical (ivermectin) on the yellow dung fly Scathophaga stercoraria based on a standardized international ring test. Environmental Toxicology and Chemistry 28:2117-2124. Floate, K.D., P. Bouchard, G.L. Holroyd, R.G. Poulin and T.I. Wellicome. 2008. Does doramectin use on cattle indirectly affect the endangered Burrowing Owl? Rangeland Ecology and Management 61:543–553. Floate, K.D., P.C. Coghlin and D. Taylor. 2008. An update on the diversity of Wolbachia bacteria in Spalangia spp. (Hymenoptera: Pteromalidae). Biocontrol Science and Technology 18:733-739. Barrett, K, K.D. Floate, J. Jensen, J. Robinson and N. Tolson. 2008. Assessing the effects of veterinary drugs on the terrestrial environment. pp. 155-180. In Crane, M., Boxall, A. and Barrett, K. (Eds) Veterinary Medicines in the Environment. SETAC Press, Pensacola, USA. Floate K.D. 2007. Endectocides residues affect insect colonization of dung from treated cattle: implications for toxicity tests. Medical and Veterinary Entomology 21:312-322. Noronha C., G.A.P. Gibson and K.D. Floate. 2007. Hymenopterous parasitoids of house fly and stable fly (Muscidae) puparia in Prince Edward Island and New Brunswick, Canada. Canadian Entomologist 139: 748-750. Floate, K.D. and H. Skovgård. 2004. Winter survival of nuisance fly parasitoids (Hymenoptera: Pteromalidae) in Canada and Denmark. Bulletin of Entomological Research 94:331-340. Gibson, G.A.P. and K.D. Floate. 2004. Filth fly parasitoids on dairy farms in Ontario and Quebec, Canada. Canadian Entomologist 136:407-417. Floate, K.D. and G.A.P. Gibson. 2004. Filth fly parasitoids (Hymenoptera: Pteromalidae) in North America. pp. 838-840. In Encyclopedia of Entomology, Volume 2. (J.L. Capinera, ed.) Kluwer Academic Publishers, Boston. Floate, K.D. 2003. Field trials of Trichomalopsis sarcophagae (Gahan) (Hymenoptera: Pteromalidae) in feedlots: a potential biocontrol agent for filth flies. Canadian Entomologist 135:599-608. Kyei-Poku, G.K., K.D. Floate, B. Benkel and M.S. Goettel. 2003. Elimination of Wolbachia from Urolepis rufipes (Ashmead) (Hymenoptera: Pteromalidae) with heat and antibiotic treatments: implications for host reproduction. Biocontrol Science and Technology 13:341-354. Floate, K.D., D.D. Colwell and A.S. Fox. 2002. Reductions of non-pest insects in dung of cattle treated with endectocides: a comparison of four products. Bulletin of Entomological Research 92:471-481. Floate, K.D. 2002. Production of filth fly parasitoids (Hymenoptera: Pteromalidae) on fresh and on freeze-killed and stored house fly pupae. Biocontrol Science and Technology 12:595-603. Floate, K.D. and R.W. Spooner. 2002. Parasitization by pteromalid wasps (Hymenoptera) of freeze-killed house fly puparia at varying depths in media. Journal of Economic Entomology 95:908-911. Gibson, G.A.P and K.D. Floate. 2001. The species of Trichomalopsis (Hymenoptera: Pteromalidae) associated with filth flies (Diptera: Muscidae) in North America. Canadian Entomologist 133:49-85. Floate, K.D., R.W. Spooner and D.D. Colwell. 2001. Larvicidal activity of endectocides against pest flies in the dung of treated cattle. Medical and Veterinary Entomology 15:117-120. Floate, K.D., P. Coghlin and G.A.P. Gibson. 2000. Dispersal of the filth fly parasitoid Muscidifurax raptorellus (Hymenoptera: Pteromalidae) following mass-releases in cattle confinements. Biological Control 18:172-178. Floate, K.D. and A.S. Fox. 2000. Flies under stress: a test of fluctuating asymmetry as a biomonitor of environmental quality. Ecological Applications 10:1541-1550. Floate, K.D. and A.S. Fox. 1999. Indirect effects of ivermectin residues across trophic levels: Musca domestica (Diptera: Muscidae) and Muscidifurax zaraptor (Hymenoptera: Pteromalidae). Bulletin of Entomological Research 89:225-229. O'Hara, J.E., K.D. Floate and B.E. Cooper. 1999. The Sarcophagidae (Diptera) of cattle feedlots in southern Alberta. Journal of the Kansas Entomological Society 72:167-176. Floate, K.D., B. Khan and G.A.P. Gibson. 1999. Hymenopterous parasitoids of filth fly (Diptera: Muscidae) pupae in cattle feedlots. Canadian Entomologist 131: 347-362. Floate, K.D. 1998. Does a repellent effect contribute to reduced levels of insect activity in dung from cattle treated with ivermectin? Bulletin of Entomological Research 88:291-297. Floate, K.D. and B.D. Gill. 1998. Seasonal activity of dung beetles (Coleoptera: Scarabaeidae) associated with cattle dung in southern Alberta and their geographic distribution in Canada. Canadian Entomologist 130:131-151. Floate, K.D. 1998. Off-target effects of ivermectin on insects and on dung degradation in southern Alberta, Canada. Bulletin of Entomological Research 88: 25-35. Floate, K.D., W.G. Taylor and R.W. Spooner. 1997. Thin-layer chromatographic detection of ivermectin in cattle dung. Journal of Chromatography B, 694:246-251. Kokko, E.G., K.D. Floate, D.D. Colwell and B. Lee. 1996. Measurement of fluctuating asymmetry in insect wings using image analysis. Annals of the Entomological Society of America 89:398-404.